The only purpose of an ecommerce website to exist is to generate revenue and make sales. But this is also the biggest headache for business owners. After you get your website designed and up you need to make changes on a regular basis in order to increase your online sales. The process of selling online requires testing what works and what doesn’t on a regular basis and this process is much like the old trial and error method employed by engineers, scientists all over the world. In order to build an efficient sales machine your ecommerce website must be optimized regularly. A/B testing is a tactic utilized by marketers to increase the conversions and sales. A/B testing involves testing the various elements of a landing page or ecommerce website and run tests using a slightly altered version with the original “control”. You can test almost any feature of a landing page and test how a different version performs. If you are selling products through your ecommerce website then most probably your product page uses various landing page elements such as a headline, product description, buy button. You can test all of these elements by tweaking one or all of them and measuring the conversions as compared to the older version. And the best part is that in order to do split testing you don’t even need to change your ecommerce website appearance permanently. You only need to install a code on your website and then half of the visitors will see your original version and the other half will be shown the test copy. So if a new version of your web page doesn’t works better you will have your older page intact. 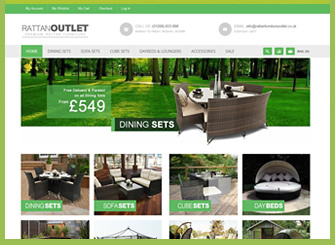 Many times even minor tweaks such as changing the headline, adding some more product information, changing the colour of buy button can have drastic impact over conversions. 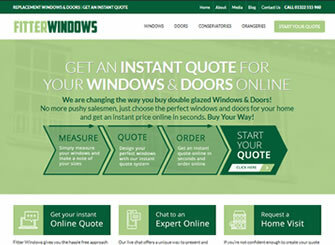 In this case study it is mentioned that how changing a single word increased conversions 161% . Here they just changed the phrase from “Request Quote” to “Request Pricing” and the click through rate increased from 0.54% to 1.4%, an increase of 161.66%. Although there are a lot of companies offering split testing services but Visualwebsiteoptimizer.com, Optimizely.com and Google content Experiments are the most popular ones . Among these Google Content Experiments is free and the other are paid tools with monthly subscription plans. In our next post we will discuss more about increasing conversion rates and sales . Please leave your comments below and share this article if you enjoyed it. 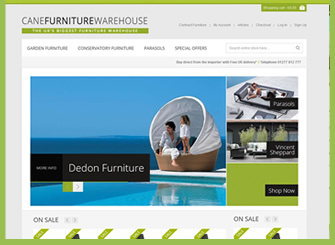 Maintaining an ecommerce website is not an easy task in itself. Often businesses get an ecommerce website designed to sell their products online but after launching it they face many problems and one of the most common problems is lack of sales or conversions. If you are facing this problem then you are not alone. In the starting having few sales is completely normal. But with time if sales are not increasing then you need to identify the problems with your Landing Pages and Calls to Actions. Many people falsely believe that website optimization is a onetime process or you just need to optimise your ecommerce website for search engines. In reality the most important aspect of optimisation is optimization for visitors. Many times there is something which is stopping visitors from converting into buyers. You need to identify that why your traffic is not converting . One reason may be that your website design is old. I regularly came across many websites where homepage was designed in 2008-2009 and since then has not been updated. On Internet people expect to get the latest news and products/services and they are not going to be impressed if your homepage has not been updated since last 4-5 years. Another important aspect is Landing pages and Calls to action. Every page on your website must ask users to accomplish something. This may be signing up for your newsletter, joining your email list, or making a purchase make your call to action bold and visible to your visitors. You must regularly review pages on your website, improve them , add more calls to actions which are relevant to your users and explain them the benefits of their action clearly. Advertisers have known the value of testing and optimising the ad copy or a sales letter for a long time and with Internet you can test various versions of your ecommerce webpages, for minimal cost and by continuously testing and optimizing you can find what works with your readers and improve your site accordingly. For starters Google Analytics must provide enough data on user behavior to start with. If you are already using Google Analytics then try to analyze your most popular pages and figure out why they are popular with users. When you identify the cause then use it on other web pages as well. Do you use Pinterest to promote your ecommerce website? Pinterest is the youngest and fastest growing social network. When most of the people were thinking that there is no room for a new social media site, Pinterest surprised everyone and became one of the fastest growing social network. What separates Pinterest from other social networks is that it’s an image based network. 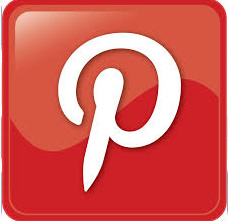 You can share pictures and images of all types on Pinterest. Another thing is that unlike Facebook and Twitter it is indexed by search engines. Now being an image sharing network is in itself a big advantage for many businesses such as those operating in Retail, eCommerce and Fashion industry. You can directly share a product image from your website to Pinterest and that picture will link back to your website. Just make sure the pictures you are sharing are going to attract visitors. Beauty product retailer Sephora has very interesting insights to share. They are saying that their Pinterest followers spend 15x more than Facebook followers and cost of acquiring Pinterest followers is 5 times less than acquiring a Facebook follower . An image is worth a 1000 words this is the secret of success with Pinterest. A well designed image impacts your consumer instantly and this brings them to your website. If you have an ecommerce website or selling any other kind of products online than chances are high that you are already using images of your products. So why not use these images in generating even more revenue for your business. In order to do this you need a well defined Pinterest strategy. Have a look at what others are doing. Most of the companies have built a large following on Pinterest by creating multiple groups, sharing their own and others images and engaging their customers. You can copy the same strategy and start building your Pinterest strategy today. Identify your goals: This is the first step to create a successful social media campaign. Identify your goals and needs. You must have a clear idea of what you want to achieve on social media. For some it can be more likes, shares, retweets etc and for others it can be increasing sales, revenue or finding new customers. Plan: After you have identified your goals plan how you are going to achieve this . Analyze how much time you can use for social media. And don’t forget to have a deadline in order to achieve specific goals. Select a social media network: Social media networks are different from each other. For example Linkedin is best suited for B2B marketers and Facebook has audience of all types. So, decide on which social network your audience hangs out. Marketing to the wrong audience on the wrong network is not going to produce any results. Focus on one network at a time: If you have decided to promote your products/services on more than one network than focus on 1 network at a time. In this way you are going to execute your marketing campaign successfully. Follow 80/20 rule: You must share 80% of content from industry related sites and 20% of your own content. Social media is not about talking it’s more about listening. So don’t over promote your business. Engage your audience: Listen what others are saying and participate in social discussions. Engaging your audience, answering their questions and removing their doubts is the best way to gain their trust and build a loyal following. Monitor Analytics: You must monitor your campaign on a regular basis. Set a metric on how to measure ROI of a marketing campaign. ROI can be in different forms such as increasing number of followers, increasing website visitors or generating more traffic or sales. Monitor your analytics carefully and make improvements as necessary. These are just few of our Social Media Marketing tips. There is a lot more to social media. If you follow above tips you can use social media effectively. We had been working on a Magento ecommerce website this week which called for the use of Magento table rates for UK delivery. The client wanted to be able to set different prices for the different postcode areas in the UK. Our postcode area table is just 127 lines, covering the first 2 characters of the postcode (not the 3000 line table covering every possible postcode area). 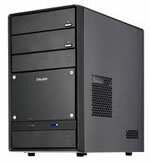 Using this short version makes it easy for our client to handle and quick and easy for us to set-up. The problem is, Magento table rates is set-up to check the postcode exactly against the table rates database. 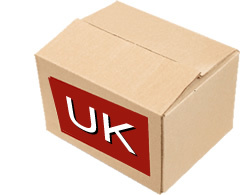 For example, our database has the “CM” postcode area listed, but if a customer enter theirs full UK postcode against this it will not match and therefore they will not be able to select the shipping option. We have worked out a way around this, changing just one line of code in the Magento code folder. What’s more, we are giving you our magento tablerates CSV file for free to help you get your magento table rates shipping set up for the UK postcode areas. I know, we are nice, feel free to send us gifts and flowers to the usual office address! 7) Enable Table Rates and select the file you have downloaded above in the Import box. 8) Press save and your good to go!! 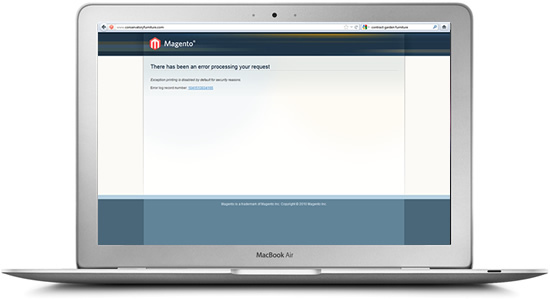 We are using Magento 1.7 for this and it has worked perfectly, I have not tested this on older versions. I hope this is of some help, so you are not all sat searching for hours trying to find a fix for this problem. If you have a better way of doing this or improvement on our method, please let us know below…. The Unltd Ecommerce offices have been hectic this week with the arrival of two new clients and one other ecommerce website launch just around the corner. Everybody at Unltd Ecommerce would like to say a big “welcome aboard” to Boyles Pet Housing, we are looking forward to working with you and creating an amazing brand for your company. 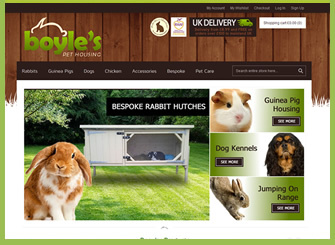 Boyles are a great company creating a wide range of pet housing including rabbit hutches, dog kennels and even chicken coops. Boyles will be offering a bespoke build service which is a great way to get the perfect home for your pets. 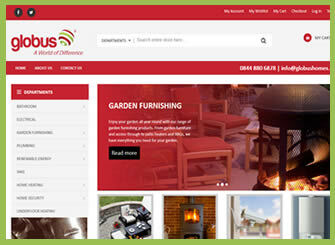 Watch this space for the all new website and corporate branding coming very soon.